Cloud vs Data Center: What’s the Difference? Many people may be confused about what is cloud computing and what is data center. They often ask questions like, “Is a cloud a data center?”, “Is a data center a cloud?” or “Are data center and cloud computing two completely different things?” Maybe you know your company needs the cloud and a date center. And you also know your data center needs the cloud and vice versa. But you just don’t know why! Don’t worry. This essay will help you have a thorough understanding of the two terms and tell you the difference between cloud vs data center. Let’s begin with their definition first. Cloud vs Data Center: What Are They? The term “data center” can be interpreted in a few different ways. First, an organization can run an in-house data center maintained by trained IT employees whose job is to keep the system up and running. Second, it can refer to an offsite storage center that consists of servers and other equipment needed to keep the stored data accessible both virtually and physically. While the term “cloud” or “cloud computing” didn’t exist before the advent of Internet. Cloud computing changes the way businesses work. Rather than storing data locally on individual computers or a company’s network, cloud computing entails the delivery of data and shared resources via a secure and centralized remote platform. Rather than using a company’s own servers, it places its resources in the hands of a third-party organization that offers such a service. Since the cloud is an external form of computing, it may be less secure or require more work to ensure security than a data center. Unlike data centers, where you are responsible for your own security, you will be entrusting your data to a third-party provider that may or may not have the most up-to-date security certifications. If your cloud are placed on several data centers in different locations, each location will also need the proper measures to ensure the security. For most small businesses, cloud computing is a more cost-effective option than a data center. Because when you chose a data center, you have to build an infrastructure from the start and will be responsible for your own maintenance and administration. Besides, a data center takes much longer to get started and can cost businesses $10 million to $25 million per year to operate and maintain. Unlike a data center, cloud computing does not require time or capital to get up and running. Instead, most cloud computing providers offer a range of affordable subscription plans to meet customers’ budget and scale the service to their actual needs. And data centers take time to build, whereas cloud services are available for use almost immediately after registration. Going forward, cloud computing services will become increasingly attractive with a low cost and convenient service. It creates a new way to facilitate collaboration and information access across great geographic distances while reducing the costs. Therefore, compared cloud computing vs data center, the future of cloud computing is definitely much brighter. This entry was posted in Optical Solutions and tagged cloud computing, Cloud Computing vs Data Center, Cloud vs Data Center, data center on June 30, 2017 by Amelia.Liu. Data Center Upgrade — Who Should Be Responsible for Buying Transceivers? There was a time that cable products specifically associated with hardware OEMs. If a company was buying or using one of these vendors’ products, the matching cables also had to be used. Therefore, whoever was responsible for managing the hardware was also responsible for the cabling used to connect the devices together. Then, the structured cabling industry replaced this. The cabling infrastructure is now viewed as an independent asset separate from the IT hardware. This has allowed companies to make purchasing decisions for IT and cabling without the concern of each other. But this may be a problem. To understand the problem, let’s understand the LAN network operation principles first. As we know, the operation of local area networking (LAN) was defined with the Open Systems Interconnection Reference Model (OSI Model). 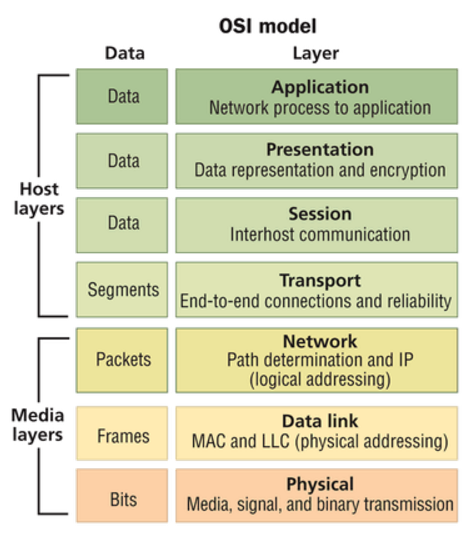 The OSI Model defined seven layers of operation. By using the model, the industry could develop networking functions in a modular fashion and still ensure interoperability. The bottom of the stack is Layer 1, the Physical Layer. Layer 1 includes the cabling that is used to connect the various pieces of equipment together so that the data can be transported. The next step up on the stack is Layer 2, the Data Link Layer. Layer 2 provides for addressing and switching, so that the data can be sent to the appropriate destination. Layer 3 is the Network Layer, where data can be routed to another network. Layers 4 through 7 deal with software implementations. The OSI Model meant that an end-user could purchase software (Layer 7) and expect it to work on multiple vendors’ hardware (Layer 2). And the hardware could be connected using multiple vendors (Layer 1). Structured cabling now had a home within Layer 1. Then this module leads to division of responsibility, for cabling versus network design specifications. The end-user ended up having “cabling people” and “networking people” on their staff. Each group of people used their own set of vendors and supply chains to specify and source their materials. And they each only needed a very basic understanding of what the other people were doing. This system has worked very well for the enterprise LAN. So what’s the problem? In the 1990s, copper cable was widely used in data center cabling deployment. As time went on, optical fiber cable was added. In fiber switches, it is common to use pluggable transceivers. This is done for a variety of reasons, but one is cost. Even though a transceiver is plugged into a switch, it is part of the OSI Model’s Layer 1, the Physical Layer. 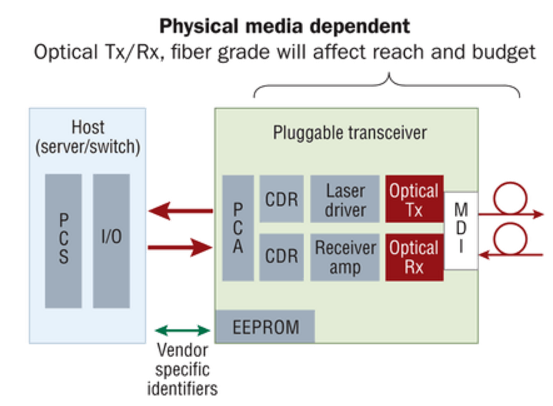 Additionally, most of the transceiver is part of the Physical Media Dependent (PMD) portion of Layer 1, as illustrated here. This means that the transceiver and the cable types must match. However, unlike copper, there was never a fixed standard on the connector type or channel distance. Fiber may have many different standards and connector options. With multiple fiber types, multiple operating wavelengths, and multiple connectivity options, the number of solutions seemed limitless. Since the transceiver is physically plugged into the switch, it has always been considered the networking group’s responsibility. “Networking people” are responsible for buying transceivers and “cabling cable” are responsible for buying cabling products, then this causes the problem. Let’s take the following real-life case for example. Company A has a data center. Marsha is the facilities manager and is responsible for the data cabling. She has designed a cabling plan that has migrated from 1G into 10G. Anticipating the 40G requirements defined by IEEE 802.3ba (40GBase-SR4), she used a cassette-based platform to allow for the transition from LC connectivity of 10G to the MPO connectivity of 40G. Greg is the network manager. As the migration to 40G switches was about to commence, his hardware vendor recommended that they change to a new unique transceiver solution that used LC connectivity. This appeared to be a great idea because it would mean that Marsha would not have to change any of her connectivity. However, he did not consult with Marsha, because the hardware decisions are his to make. When the 40G switches arrived, Marsha was surprised by the connectivity choice because it limited her power budget. So this division causes the problem. Greg needs to have a 40G connection from Rack A to Rack B. From a Layer 2/3 perspective, that is all that matters. He still has the responsibility and complete control to define his needs and select equipment vendors for things like switches, routers, servers, etc. Instead of defining the form of the data rate, he simply specifies the speed. By shifting the single component (pluggable transceiver) from Greg to Marsha, the organization can make its decision much more efficiently. Greg does not have to worry about the variety of fiber and transceiver options, nor the impacts that they have on each other. And Marsha can manage the entire optical link, from transceiver to transceiver, which is all within Layer 1. Her experience with fiber and connectivity options puts her in a better position to determine which transceiver options are the most appropriate. Looking back, the onset of structured cabling separated the cabling purchasing from the IT hardware purchasing. Looking at present-day and into the future, rapidly increasing data rates, especially in the data center are requiring another shift in the way we conduct business. By redefining the link to include not only cabling and connectivity, but also the transceiver, we put Layer 1 performance in the hands of the people most familiar with it. 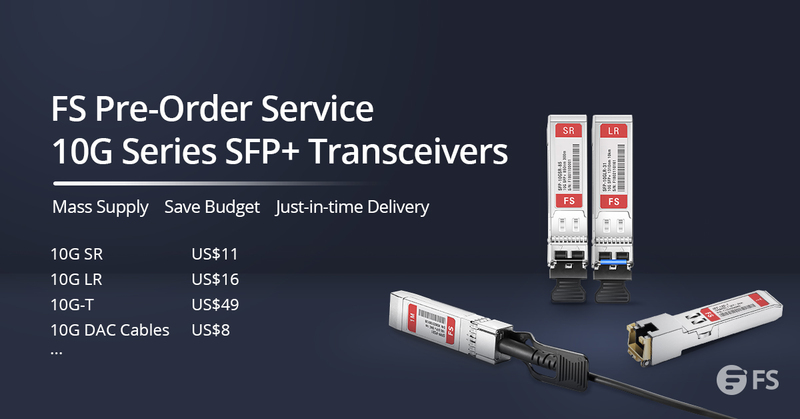 FS.COM provides a full range of transceivers and matched cabling products with the most cost-effective price. Aimed at offering a high performance-price ratio solutions for you. This entry was posted in Transceivers Common Sense and tagged cabling, data center, fiber optical cable, Transceivers on June 29, 2016 by Alice.Gui. Over the last decade, large enterprises have been migrating data center infrastructures from 100MB Ethernet to 1/10 Gigabit Ethernet (GbE) to support high-bandwidth, mission critical applications. However, many mid-market companies found themselves restricted from this migration to 10GbE technology due to cost, low port density and high power consumption. For many of these companies, the explosive growth of technologies, data and applications is severely taxing existing 1GbE infrastructures and affecting performance. So it’s high time for them to upgrade the data center to 10GbE. With many 10GbE interfaces options such as CX4, SFP+ Fiber, SFP+ Direct Attach Copper (DAC), and 10GBASE-T offered, which one is the best? In fact, the answer is 10GBASE-T.
SFP+ has been adopted on Ethernet adapters and switches and supports both copper and fiber optic cables makes it a better solution than CX4, which is the mainstream 10GbE adoption today. However, SFP+ is not backward-compatible with the twisted-pair 1GbE broadly deployed throughout the data center. SFP+ connectors and their cabling were not compatible with the RJ-45 connectors used on 1GbE networks. Enterprise customers cannot just start adding SFP+ 10GbE to an existing RJ-45 1GbE infrastructure. New switches and new cables are required, which is a big chunk of change. Like all BASE-T implementations, 10GBASE-T works for lengths up to 100 meters giving IT managers a far-greater level of flexibility in connecting devices in the data center. With flexibility in reach, 10GBASE-T can accommodate either top of the rack, middle of row, or end of the row network topologies. This gives IT managers the most flexibility in server placement since it will work with existing structured cabling systems. The challenge with 10GBASE-T is that even single-chip 10GBASE-T adapters consume a watt or two more than the SFP+ alternatives. More power consumption is not a good thing in the data center. However, the expected incremental costs in power over the life of a typical data center are far less than the amount of money saved from reduced cabling costs. Besides, with process improvements, chips improved from one generation to the next. The power and cost of the latest 10GBASE-T PHYs will be reduced greatly than before. Another challenge with 10GBASE-T is whether it could deliver the reliability and low bit-error rate of SFP+. This skepticism can also be expressed as whether the high demands of FCoE could be met with 10GBASE-T. In fact, Cisco has announced that it had successfully qualified FCoE over 10GBASE-T and is supporting it on its newer switches that support 10GBASE-T in 2013. Depending on packet size, latency for 1000BASE-T ranges from sub-microsecond to over 12 microseconds. 10GBASE-T ranges from just over 2 microseconds to less than 4 microseconds, a much narrower latency range. For Ethernet packet sizes of 512B or larger, 10GBASE-T’s overall throughout offers an advantage over 1000BASE-T. Latency for 10GBASE-T is more than 3 times lower than 1000BASE-T at larger packet sizes. Only the most latent sensitive applications such as HPC or high frequency trading systems would notice any latency. When it comes to capital costs, copper cables offer great savings. Typically, passive copper cables are two to five times less expensive for comparable lengths of fiber. In a 1,000-node cluster, with hundreds of required cables, that can translate into the hundreds of thousands of dollars. Extending that into even larger data centers, the savings can reach into the millions. Besides, copper cables do not consume power and because their thermal design requires less cooling, there are extensive savings on operating expenditures within the data center. Hundreds of kilowatts can be saved by using copper cables versus fiber. The 10GbE standards are mature, reliable and well understood. 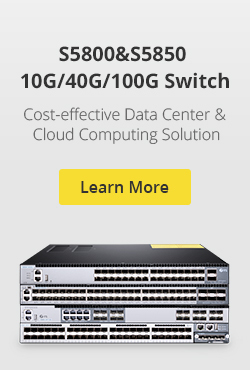 10GBASE-T breaks through important cost and cable installation barriers in 10GbE deployment as well as offering investment protection via backwards compatibility with 1GbE networks. Deployment of 10GBASE-T will simplify the networking transition by providing an easier path to migrate to 10GbE infrastructure in support of higher bandwidth needed for virtualized servers. In the future, 10GBASE-T will be the best option for 10GbE data center cabling! This entry was posted in SFP+ Transceiver and tagged 10 Gigabit Ethernet, 10GBASE-T, 10GbE, 1GbE, data center, SFP, SFP+ DAC on November 5, 2015 by Alice.Gui. With the amount of energy now required to power the world’s data centers, one of the greatest challenges in today’s data centers is minimizing costs associated with power consumption and cooling, which is also the requirement of building the green data center. Higher power consumption means increased energy costs and greater need for heat dissipation. This requires more cooling, which adds even more cost. Under these circumstances, high-speed optical fiber offers a big advantage over copper to reduce the network operational and cooling energy. The word “green” invokes natural images of deep forests, sprawling oak trees and financial images of dollar bills. The topic of green has been gaining momentum across international, commercial and industrial segments as global warming and greenhouse gas effects hit headlines. In terms of different fields, the word “green” has different definitions. Specific to the data center segment of the telecommunications industry, green data center is a repository for the storage, management, and dissemination of data in which the mechanical, lighting, electrical and computer systems are designed for maximum energy efficiency and minimum environmental impact. How to Build Green Data Center? How Does Optical Fiber Benefit the Green Data Center Building? Compared to copper cable, optical fiber may offer many advantages in contribution to building green data center. Usually, optical fiber connectivity can enhance green data center installations by utilizing high-port-density electronics with very low power and cooling requirements. Additionally, an optical network provides premier pathway and space performance in racks, cabinets and trays to support high cooling efficiency when compared to copper connectivity. All these advantages can be summarized as the following three points. Optical transceiver requires less power to operate compared to copper transceiver. Copper requires significant analog and digital signal processing for transmission that consumes significantly higher energy when compared to optical media. A 10G BASE-T transceiver in a copper system uses about 6 watts of power. A comparable 10G BASE-SR optical transceiver uses less than 1 watt to transmit the same signal. The result is that each optical connection saves about 5 watts of power. Data centers vary in size, but if we assume 10,000 connections at 5 watts each, that’s 50 kW less power—a significant savings opportunity thanks to less power-hungry optical technology. Optical system requires far fewer switches and line cards for equivalent bandwidth when compared to a copper card. Fewer switches and line cards translate into less energy consumption for electronics and cooling. One optical 48-port line card equals three copper 16-port line cards (as shown in the following picture). A typical eight-line card chassis switch would have 384 optical ports compared to 128 copper ports. This translates into a 3:1 port advantage for optical. It would take three copper chassis switches to have equivalent bandwidth to one optical chassis switch. The more copper chassis switches results in more network and cooling power consumption. Usually, a 0.7-inch diameter optical cable would contain 216 fibers to support 108 10G optical circuits, while 108 copper cables would have a 5.0-inch bundle diameter. The larger CAT 6A outer diameter impacts conduit size and fill ratio as well as cable management due to the increased bend radius. Copper cable congestion in pathways increases the potential for damage to electronics due to air cooling damming effects and interferes with the ability of ventilation systems to remove dust and dirt. Optical cable offers better system density and cable management and minimizes airflow obstructions in the rack and cabinet for better cooling efficiency. See the picture below: the left is a copper cabling system and the right is an optical cabling system. Data center electrical energy consumption is projected to significantly increase in the next five years. Solutions to mitigate energy requirements, to reduce power consumption and to support environmental initiatives are being widely adopted. Optical connectivity supports the growing focus on a green data center philosophy. Optical cable fibers provide bandwidth capabilities that support legacy and future-data-rate applications. Optical fiber connectivity provides the reduction in power consumption (electronic and cooling) and optimized pathway space utilization necessary to support the movement to greener data centers. This entry was posted in Transceivers Common Sense and tagged data center, data center cooling, Green Data Center, optical fiber on October 29, 2015 by Alice.Gui. Local area network (LAN) campus and building backbones, as well as data center backbones, are migrating to higher cabled fiber counts to meet increasing system bandwidth needs. Ribbon optical cables are now being deployed to meet this need, as they provide the highest fiber density relative to cable size, maximize utilization of pathway and spaces and facilitate ease of termination. This article may provide some knowledge of ribbon optical cable. Ribbon optical cable is now being widely used in campus, building and data center backbone applications where fiber counts of more than 24 are required. This kind of fiber optic cable offers robust performance equivalent to the stranded loose tube cable. It provides the maximum fiber density relative to cable diameter when compared to stranded loose tube and tight-buffered cable designs. The cable design characteristically consists of 12 to 216 fibers organized inside a central tube. There are two kinds of jacket material for ribbon optical cable. Non-flame-retardant jacket material is often used in outdoor applications while flame-retardant outer jackets are used for indoor applications. 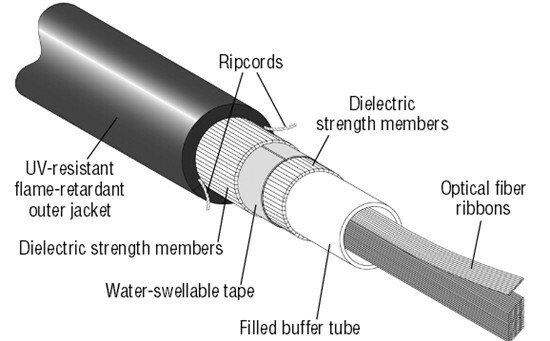 Picture below shows a basic construction of ribbon optical cable. For many years, people have been reluctant to use ribbon optical cable in the LAN and data center because 12-fiber ribbon fiber optic cable field terminations were limited. 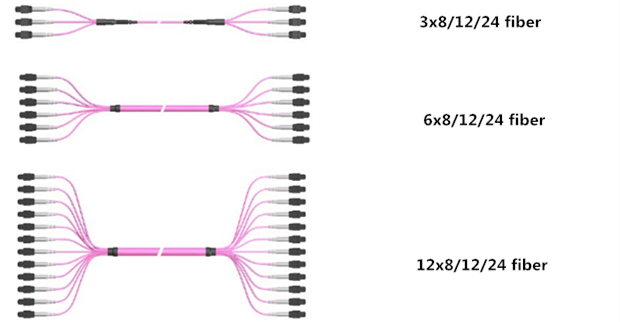 With the introduction of field-installable 12-fiber array connectors, 12-fiber ribbons are easily terminated with simplex and duplex connectors such as LC or SC connectors or with the MTP connector. The MTP connector (shown in the picture below) is a 12-fiber push/pull optical connector with a foot-print similar to the SC simplex connector. These high-density connectors are used to significantly accelerate the network cabling process, minimize errors and reduce congestion in patch panels. Today, the MTP connector is commonly available in preterminated form—as a pigtail to be spliced onto a 12-fiber ribbon, or as a MTP patch cord which is terminated on each end (shown in the picture below). Many end-users are now using preterminated cables where the cable is factory terminated with MTP connectors and/or simplex or duplex connectors to ensure the highest quality connector insertion loss and return loss performance and to expedite the cable installation. Optimal cabled fiber density in data-center pathway and spaces is important to facilitate efficient cooling systems as well as for removal of abandoned cable in accordance, so it’s essential to maximize use of pathway and spaces. Ribbon fiber cables offer up to 45 percent space savings, and three times the fiber-tray capacity over traditional bulkier cable solutions. At the same time, it also minimizes the cable tray weight. Because the ribbon optical cable offers the highest fiber packing density to maximize pathway and space utilization in ducts and raceways as well as patch panels, it is now being deployed in areas where stranded loose tube and tight-buffered cable have historically been used. Fiberstore provide all kinds of ribbon optical cables (12 to 216 ﬁbers) and MTP connectors, as well as MTP truck patch cables with low price and high quality. For more information, please visit www.fs.com. This entry was posted in Bulk Fiber Cables and tagged data center, LAN, Local area network, MTP connector, MTP patch cord, Ribbon optical cable on October 10, 2015 by Alice.Gui. The benefit of having neat and organized cabling obviously applies to patch cords as much as structured cabling. When you go beyond green considerations, it can be argued that it’s more important to have neat patch cords than structured cabling. Data Center users typically interact with a patching field when installing or servicing hardware rather than structured cabling. Patching fields can be more challenging to maintain in some server environments, however, due to frequent hardware changes and sometimes minimal management of how patches are run. ■ Employ a distributed cabling hierarchy: Already mentioned as beneficial for structured cabling, this approach can help with Fiber Optic Patch Cables as well. Having Data Center networking patch fields divided into smaller segments around the Data Center mitigates cabling density and potentially improves airflow to the associated networking equipment. 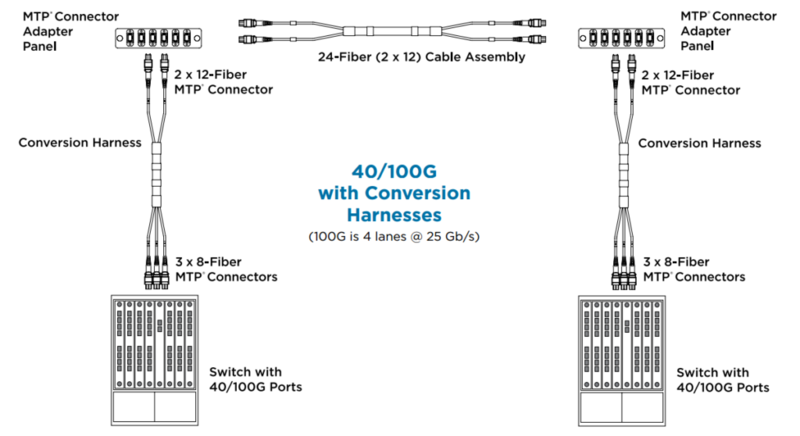 ■ Right-size port counts: Planning the correct number of ports in your Data Center – and reserving space for future expansion of patch fields – helps avoid messy cabling. Installing too many ports can result in unnecessarily large cable bundles; installing too few can trigger picemeal cabling additions in the future that fit awkwardly with the original cabling infrastructure. ■ Use ample wire management: However many connections you install in your network patching fields, be sure to include sufficient vertical and horizontal wire management to handle the maximum quantity of patch cords you plan for. This is of particular importance for some Category 6A patch cords because of their increased outsied cable diameters and soild copper core wire construction. This type of cord promotes a cable memory that can be increasingly difficult to manage as the number of patch cords multiply. 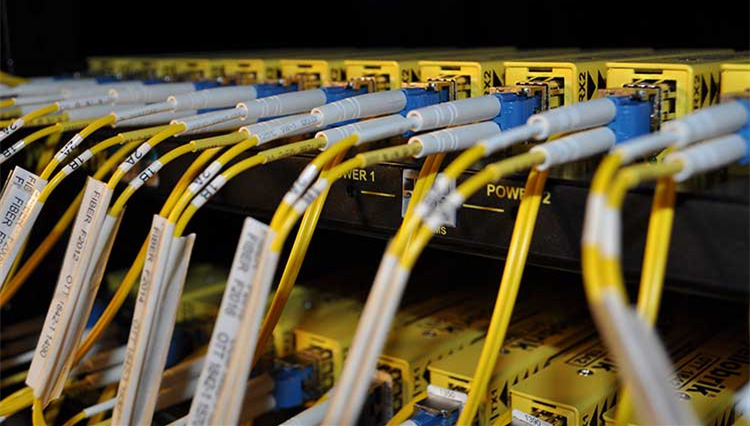 ■ Prepatch networking connections: Hardware density in modern Data Centers can involve thousands of cable connections in a single server row. Prepatching networking devices and patch fields all together, before servers are installed, helps ensure that cabling is routed neatly. ■ Provide patch cords in different length – and use them: Stock commonly used types of patch cords in your Data Center in multiple lengths so that whoeer install your hardware can make a neat connection between devices and patching fields. That means correctly routing cabling through the available wire management rather than making a straight-line connection that blocks access to hardware or patch panels. It also means choosing the right length of cable length, so there is no slack to be either coiled up and hidden in the wire management system or left hanging at the end of a connection. Implementing these cabling practices, first when designing a new Data Center and then when operating, doesn’t just make the facility greener by improving airlow and conserving cabling material, it also makes it easier to use and less prone to accidental down-time. Fiberstore manufactures and stocks fiber optic patch cables. Our stock cables feature FC/PC, FC/APC, and SMA connectors, and use single mode (SM), polarization-maintaining (PM), or multimode (MM) fiber. Buy LC fiber optic cable series, same day shipping to your countyre now. We offer ar-coated cables for fiber-to-free space use, lightweight cables for optogenetics, high-power cables, and many other specialty fiber patch cables from stock. We also offer multimode fiber bundles, as well as custom patch cables with 24 hour turnaround on many orders. If you do not see a stock cable that is suitable for your application, please contact us. This entry was posted in Bulk Fiber Cables, Single Mode Fiber (SMF) and tagged data center, fiber optic patch cables, patch cords on November 27, 2014 by Amelia.Liu. Multi-fiber technology is has exploded as a result of today’s high fiber counts and limited space requirements which Data Centers demand. Fiberstore is today’s leader in the manufacturing of MTP cables and MTP Cassette. Fiberstore engineers unique MTP solutions utilizing 12, 24, 48 and even 72 fiber MTP ferrules. Now the following is the feature and benefits of MTP cassettes and cable assemblies. MTP cassettes and cable assemblies take their name from the MTP MPO connector, designed and introduced as a performance version of MPO connectors. MTP fiber systems are truly an innovative group of products. Each MTP connector contains 12 fibers or 6 duplex channels in a connector that is smaller than most duplex connections in use today. A 72 fiber trunk cable can be terminated with six MTP connectors and MTP connectors are manufactured specifically for multifiber loose tube or ribbon cable. MTP connectors allow high-density connections between network equipment in telecommunication rooms. They use a simple push-pull latching mechanism for easy and intuitive insertion and removal. The ends of MTP brand connectors may be polished flat or at an 8° angle. An MTP brand connector is about the same size as a SC connector however it can accommodate 12 fibers, which provides up to 12 times the density, thereby requiring much less card and rack space. A standard MTP cassette has one port in the back with a MTP coupler awaiting connection of an MTP cable assembly that has 12 fibers in the connector. The MTP cable plugs into the back and through the adaptor. The cable connects to another MTP assembly inside the cassette that “fans out” to 12 SC or LC connections. One MTP cable can connect up 12 different ports. From there you simply plug in your patch cables. * Used in optical transmitters and receivers, MTP brand connectors offer up to 36 times the density of standard connectors, providing significant space and cost savings. * Compact design addresses high fiber count applications, with small and lightweight cables ideal for use with installation space limitations. * MTP brand cable trunks offer flexibility in changing the connector style in the patch panels. 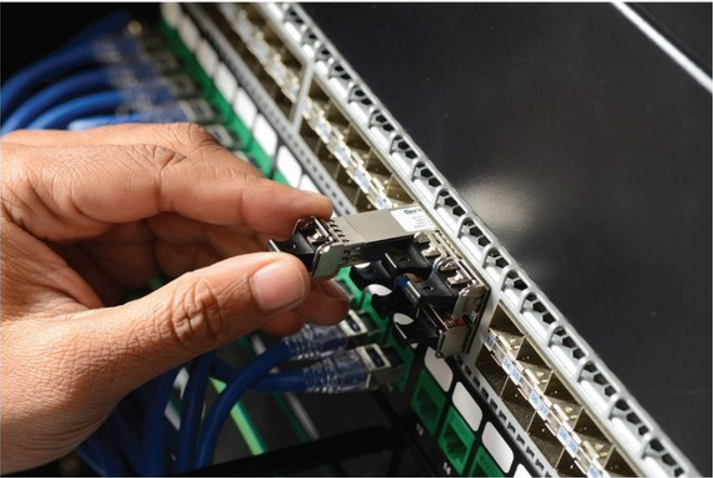 New cassettes can be installed with the new connector style on the cross-connect side of the patch panel without having to change the connector on the cable trunk. * The MTP brand connector is the standard for delivery of 40G (in its 12 fiber version) and 100G (in either a duplexed 12 fiber cable or 24 fiber ferruled cable) using QSFP transceivers. Multi-fiber technology will eventually replace the standards for fiber optics as we know it. Even now people are tearing out their existing infrastructure and placing MTP cassettes in their patch panels to route data for thousands of network electronics. MTP cassettes, cables, connectors and adapters are essential to backbone infrastructure. The high fiber count in one connector creates endless possibilities. Imagine a 1U rack mount patch panel that can supply data to run an entire 288-port switch. With today’s increasing demand for higher through-put, ST, SC, MTRJ, LC, FC, etc, will all be a thing of the past. MTP Fiber Optic Cables are multi-fiber patch cords suitable for high-density back plane and PCB solutions. MTP patch cords offer up to 36 times the density (based on a 72 fiber ferrule) of traditional patch cords, providing significant space and cost savings. 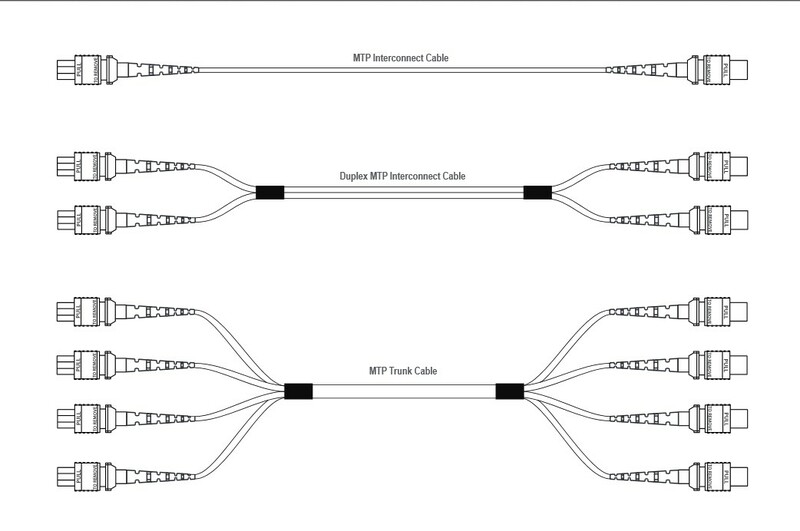 There are several configurations for MTP brand cable assemblies. The most popular is a MTP connector to MTP connector patch or trunk cable that connects an MTP brand cassette to another MTP brand cassette. If an MTP adapter panel is installed in a patch panel, then an MTP cable to MTP brand can be used as well. Another configuration is MTP connectors to LC or SC fiber connector. These can be used in different applications for both back end and front end adapter panels, for instance, plug one MTP connector into the back and plug an MTP cable to LC cable into the front and have the 12 LC connections go to other equipment. If there is an MTP cassette that needs to be lit up by using a 12-fiber LC adapter panel, plug each of the 12 LC connections in the LC adapter panel. The MTP side then plugs into the back of the cassette. Increase the transfer speed with 10 Gig 50 Micron multimode cable or increase the distance the signal can travel using singlemode. Cables may be constructed of ribbon fiber, small form factor loose tube assembly cable, or subgrouped trunking cable. The options are only limited by the application. MTP/MPO Cassettes are specially designed to reduce installation time and cost for an optical network infrastructure in the premises environment. MTP/MPO Cassettes provide secure transition between MTP/MPO and SC, LC, ST, or FC connectors. They are used to interconnect MTP/MPO backbones with LC/SC/ST/FC patching. Fiberstore MTP cassettes come in a variety of connector styles and modes. From Multimode to Singlemode, from SC to LC, MTP brand solutions can be the solution to save space, time, and energy. By plugging an MTP brand cable into the back, 12 or 24 (with quad LC) connections are being lit up . For the 24-fiber application, either one 24-fiber MTP brand cable or two 12-fiber MTP brand cables can be used. The cassette can be snapped into any standard fiber optic patch panel including both rack mount and wall mount. A RAC-1X holds three of these cassettes which could potentially contain 72 active LC connections using only three (or six) MTP brand cables. Clean up the clutter and increase your possibilities using MTP brand cassettes. We supply MPO/MTP fiber optic cables, such as MPO MTP trunk cable, MPO/MTP breakout cable. These are available in Female to female or a male to male and male to female configurations. The male version has MTP pins. 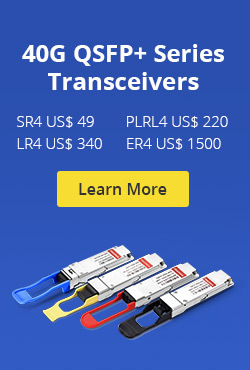 These can be made with 12 fiber MTP connectors, 24 Fiber MTP connectors, 48 Fiber MTP connector variations. We use USConec MTP fiber optic connectors for all of our MTP and MPO terminations so that the highest performance is accomplished. Many additional options and combinations are available. All multi fiber optic cables are customizable. 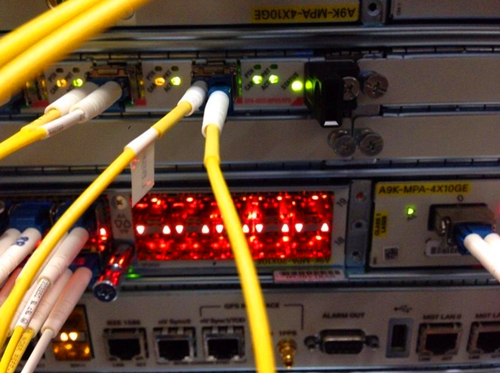 This entry was posted in MPO/MTP solutions and tagged data center, fiber trunk cable, MTP cable, MTP cassettes, MTP Fiber Optic Cables on August 4, 2014 by Amelia.Liu.